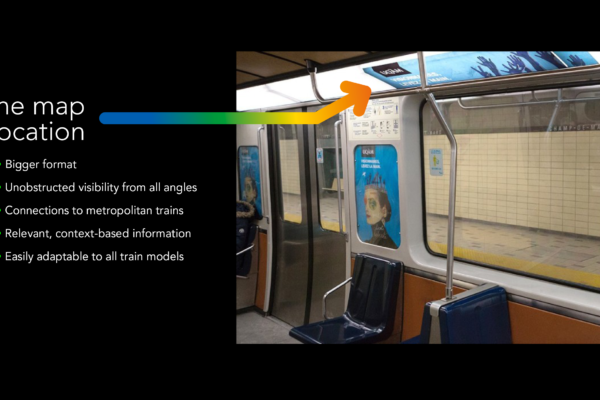 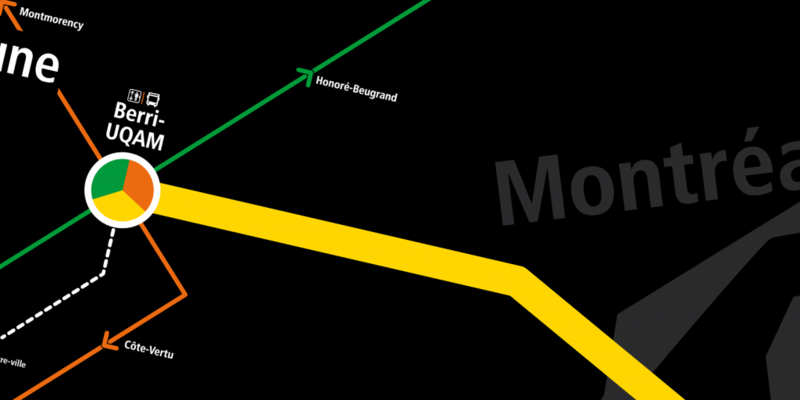 As an user of the Montréal subway for two years, I find the maps on board lacking as they are scarcely located, can’t be read from afar and are obstructed from view when the trains are full. 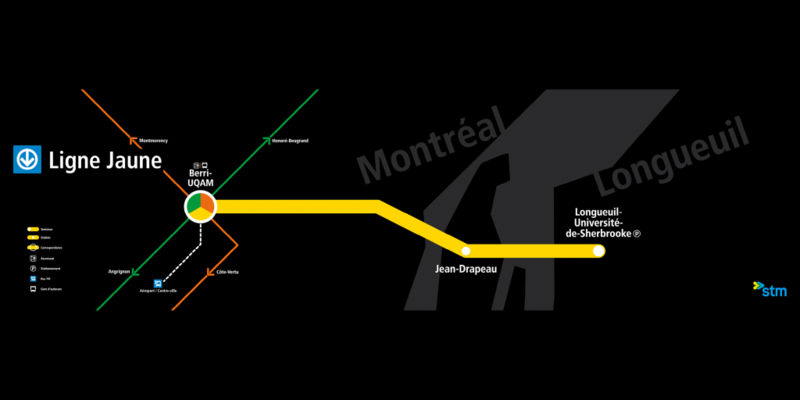 Also, some people don’t speak French; maybe they are new to the city or simply have trouble getting around. 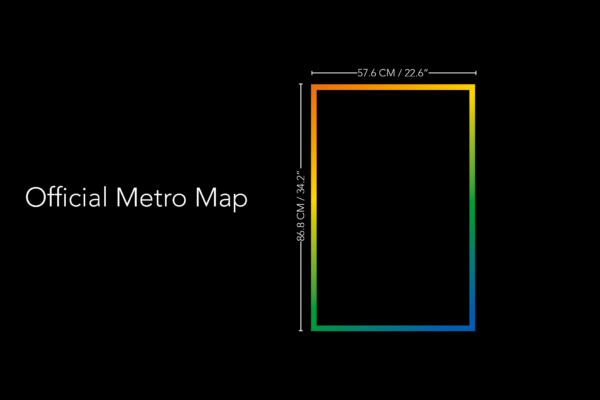 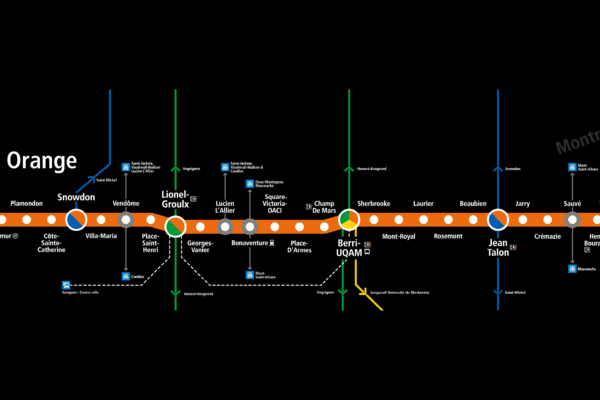 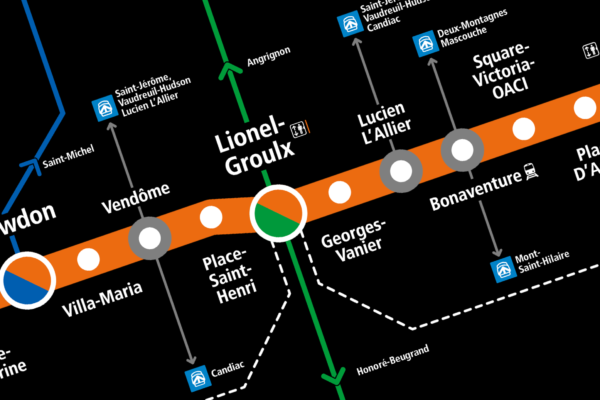 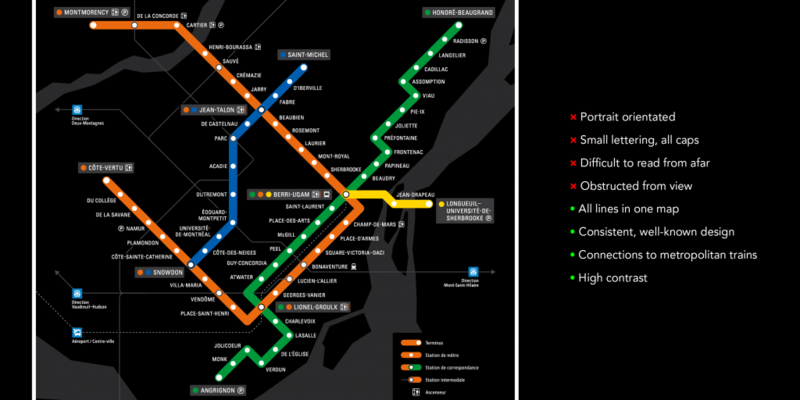 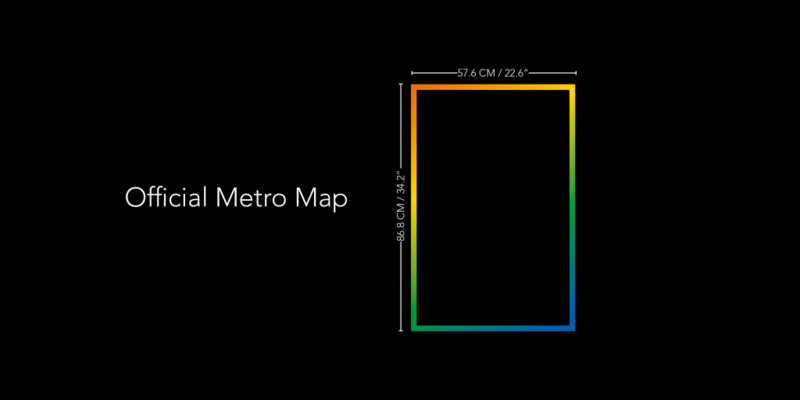 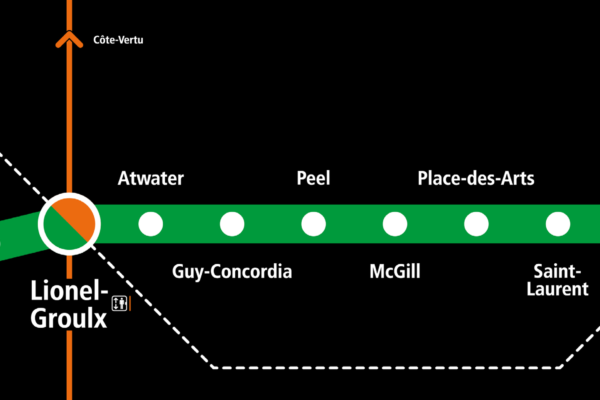 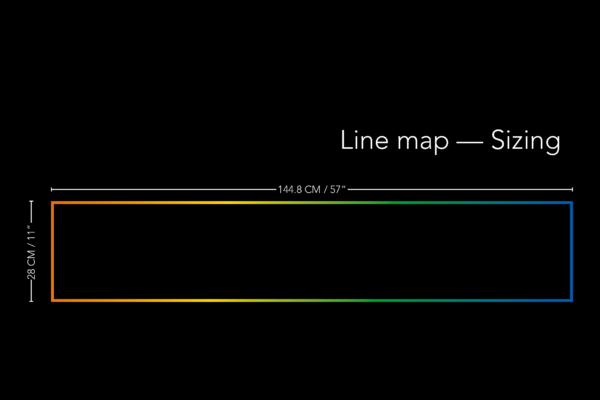 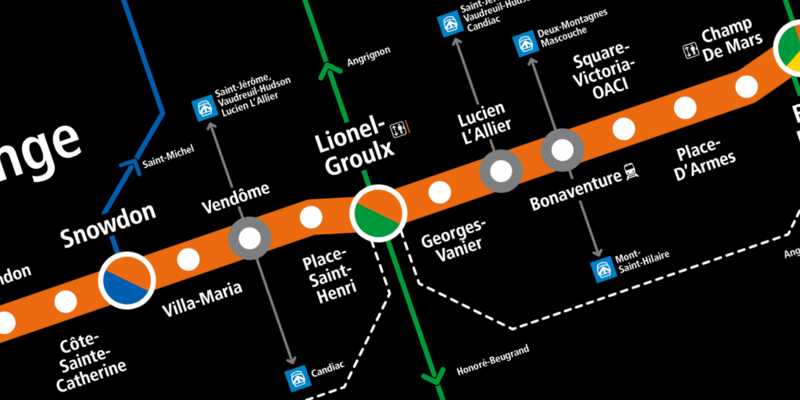 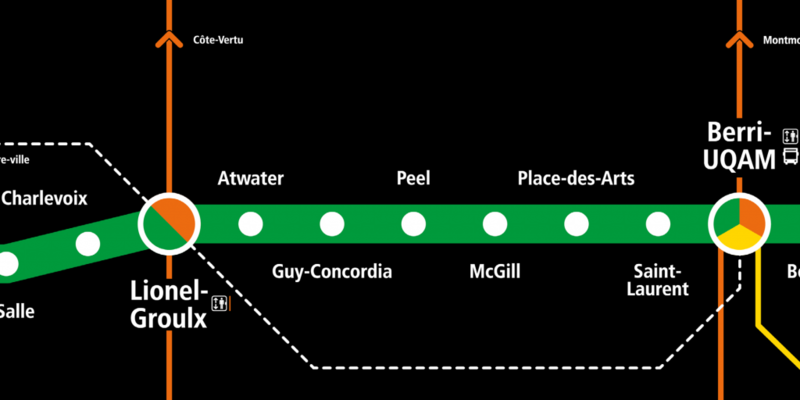 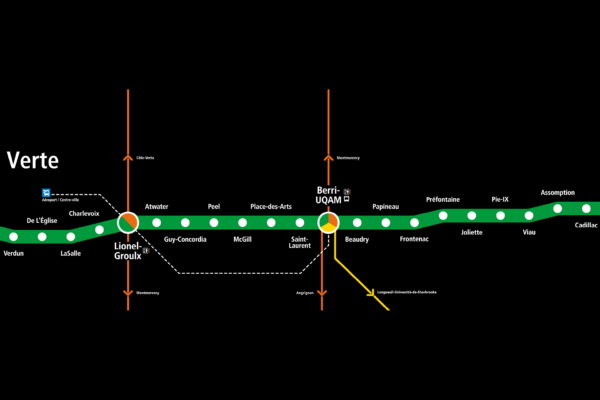 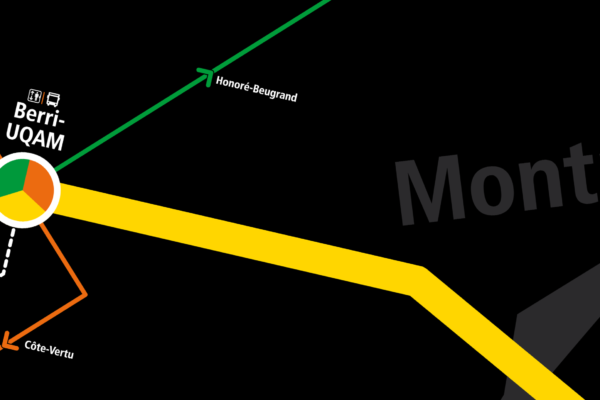 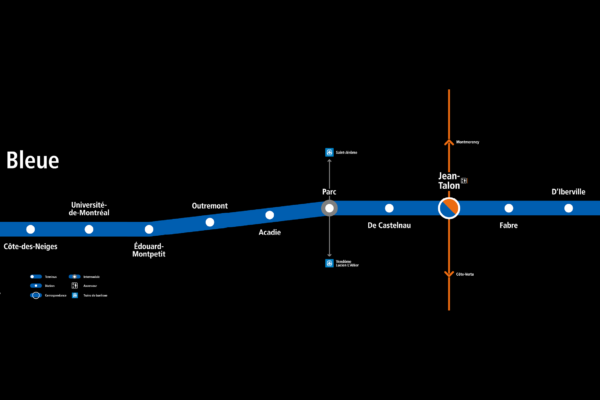 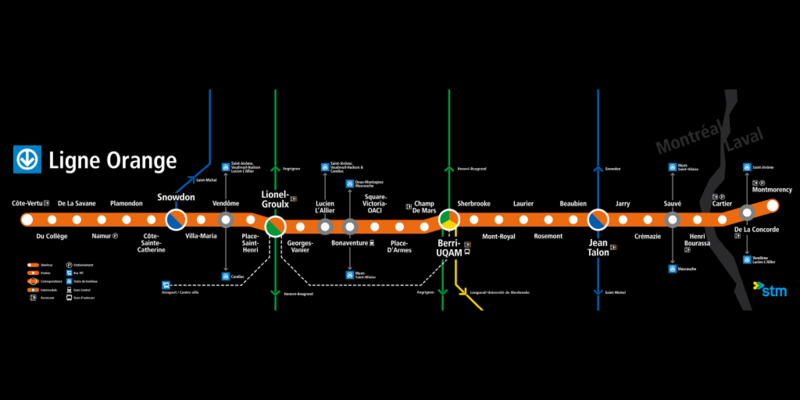 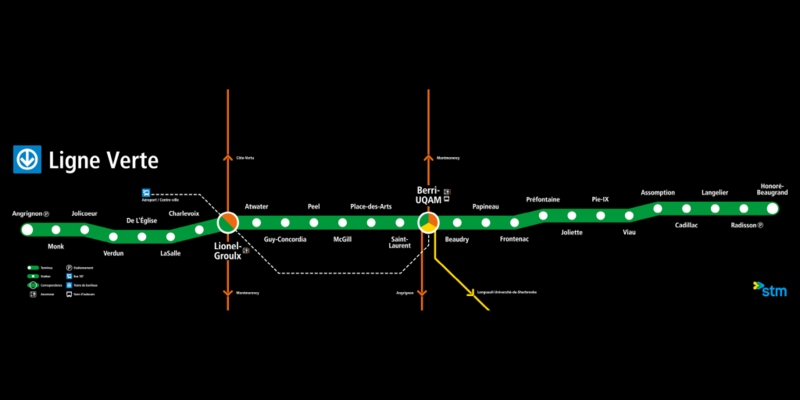 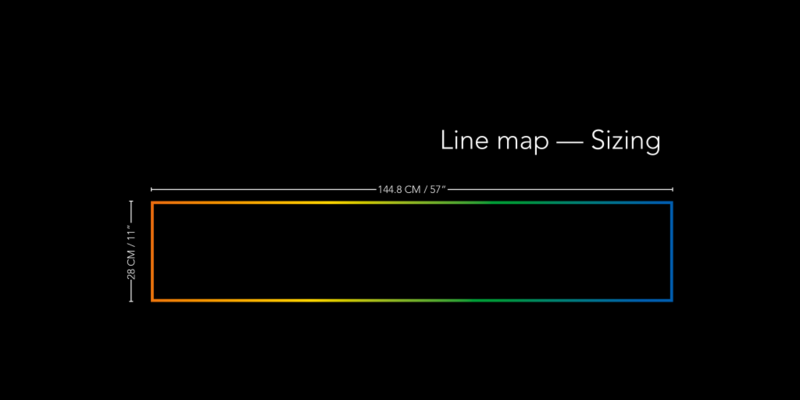 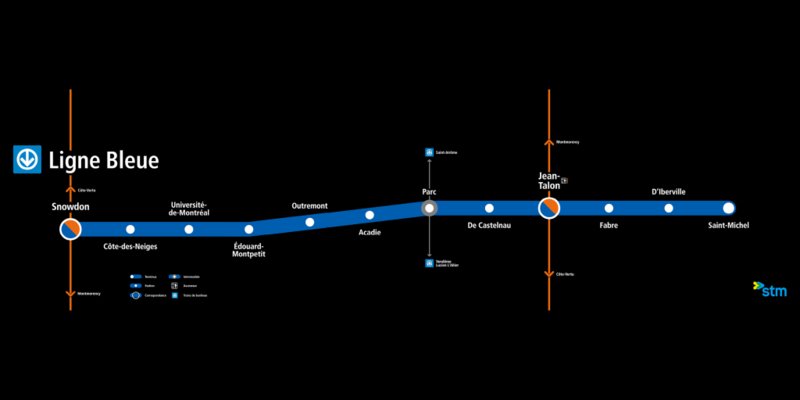 The Montréal metro needs line maps. 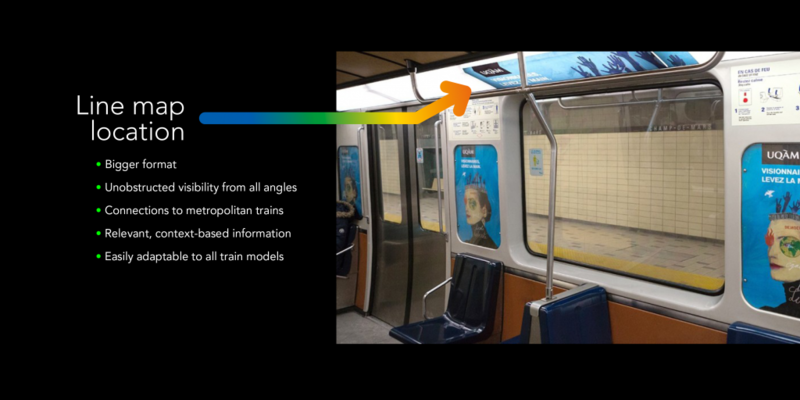 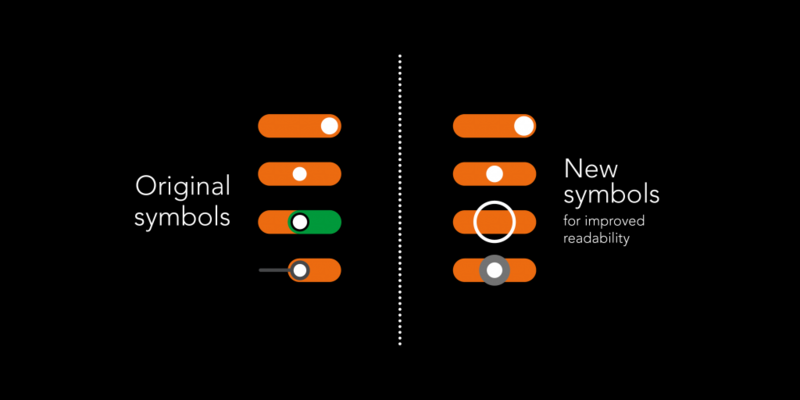 The newly introduced trains partially solve this with their screens but a static piece of information such as a line map in all train models can make a difference in the commute of many daily passengers, like it does in subway systems in Mexico City, Paris or Moscow. 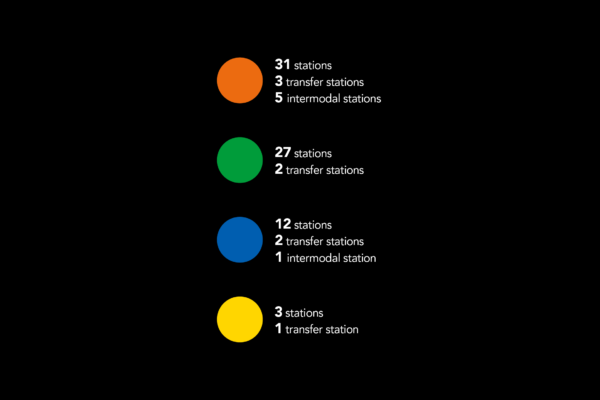 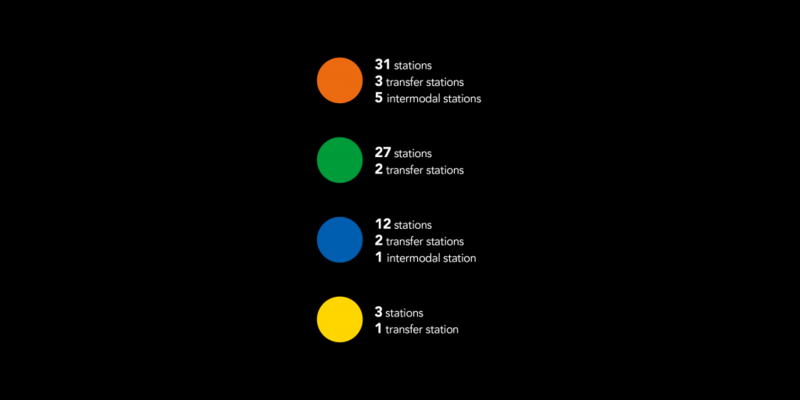 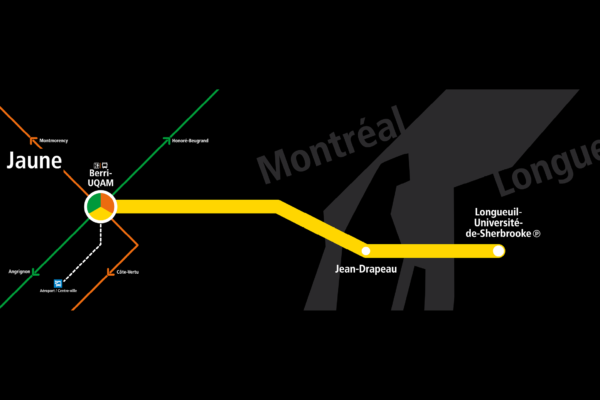 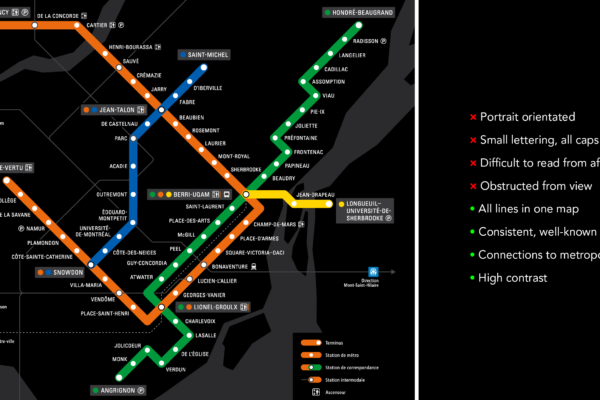 With the correct sizing provided by the STM —Société de Transport de Montréal— I took the overall layout of each line and adapted it to a grid that could work with all of them, revamped the symbol system for better readability and included what I considered the most important information without cluttering the maps. 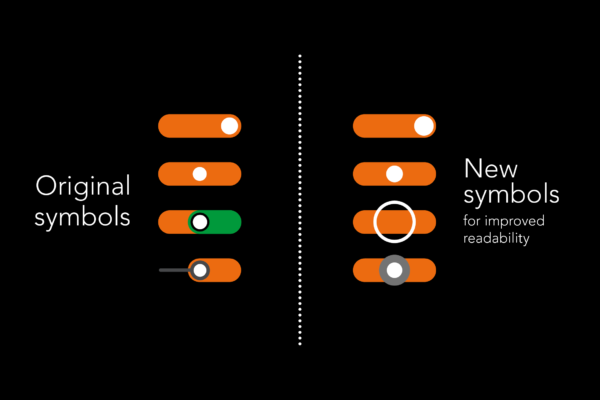 Special care went into getting the type & icon sizing and spacing.